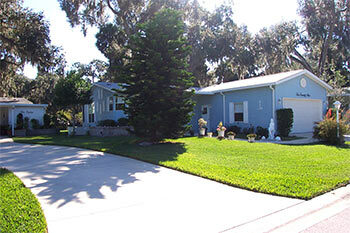 This home is located on a small lake, in a peaceful setting. 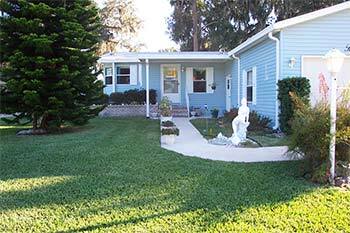 It's a quality 2 bedroom/2 bath Jacobsen home, custom made. The outside material is vinyl siding, virtually maintenance free, beneath the siding is 1/2 inch plywood, which makes this house sturdy so it can handle hurricane winds up to at least 110 m/ph. 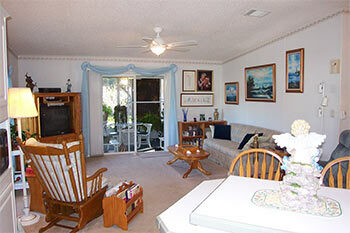 It has an open floor plan, with a large living room, dining room and kitchen. 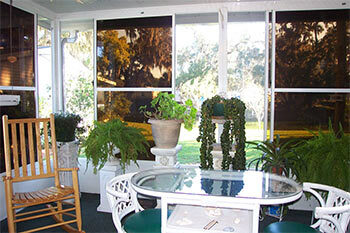 The living room (14x16) has sliding glass doors leading to the Florida room (10x14) and looks out on the pond and garden. It has indoor/outdoor carpet and the windows are removable panels, so you can make it as breezy as you want. 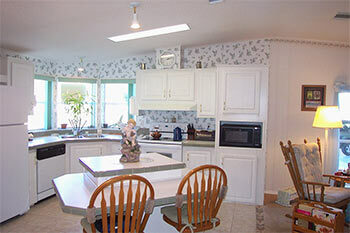 The kitchen has white washed cabinets and gives a bright and clean look. There is a kitchen island with cabinets and tiled counter. 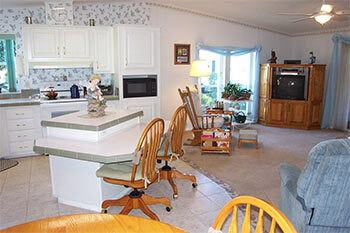 All the appliances stay with the sale of the house: refrigerator, stove and microwave. The floor in kitchen and dining room have been upgraded with beautiful tile. Living room, hallway and bedrooms have upgraded quality carpet. The fans and lights in the living room are remote controlled, very convenient .The quality oak furniture in living room and bedrooms are negotiable. In the hallway is a walk-in closet, it's so large it's currently in use as a small computer room/office. It has light, phone and dual electrical outlets. 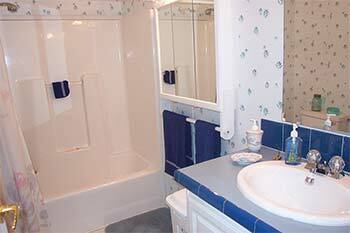 To the right of the hallway is a bathroom with tub. Each bathroom has its own linen closet. 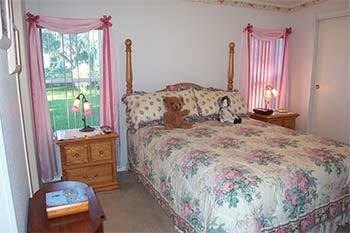 Next to the bathroom is a bedroom (12x10) with a large closet with sliding doors. On the left hand side is the master bedroom (13x12) with it's own private bathroom. The master bedroom has 2 closets with sliding doors. The attached garage (18x24) is roomy enough besides parking the cars for the washer and dryer, water softener and water filter. All these will stay with the house. A few more facts: R-value is 22 floor, 22 walls and 30 ceiling. House has all around gutters with gutter guard. Home has a 3 ton AC unit. There is satelite hookup. Roof consists of asphalt shingles. The front and back yard are a delight. Front has a mermaid water fountain, beautiful Norfolk Island Pine tree and Holly. The steps leading to the home are an extended brick, the same brick is used for a brick planter in front. The backyard is lovely with its palm trees, twisted willows, hibiscus and potted plans and garden slopes gently to the lake! Please call by telephone - e mails may not be the best way to contact us.